A skier is short-hauled out of Granite Canyon after being avalanched in Mile Long Couloir. Lance Coudele photo. 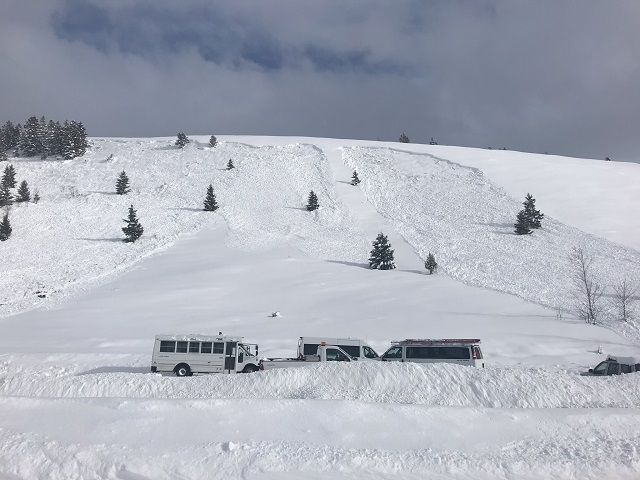 The heavy snowfall which graced Jackson Hole over the past few days has a significant downside: The potential for serious avalanches. Several slides were reported over the past two days, with two requiring evacuations by Search and Rescue teams. 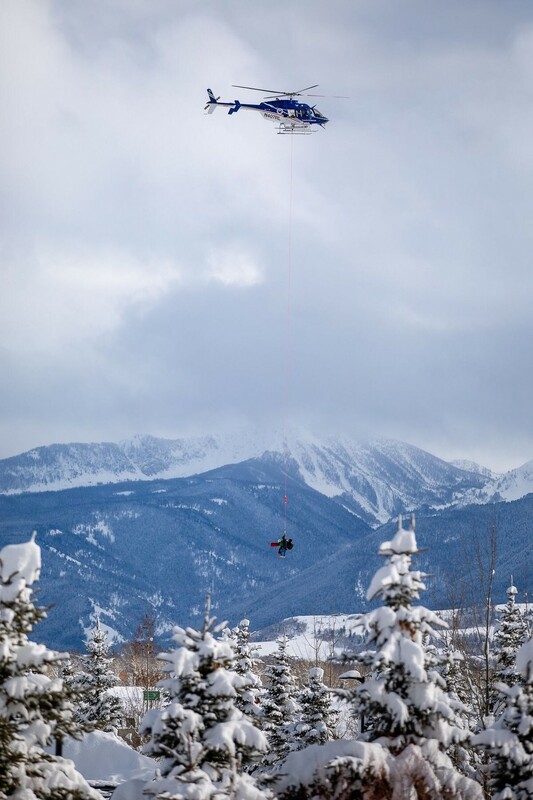 The first skier was evacuated from Mile Long Couloir in Granite Canyon, and the second was lifted from the Four Pines Area south of Jackson Hole Mountain Resort. A slide above the Kelly campus of the Teton Science Schools partially buried a parking lot. JH Avalanche photo. The parking lot at the Kelly campus of the Teton Science Schools was partially buried by a naturally-triggered avalanche. The slide reportedly was strong enough to move several vehicles, though luckily no one was in the lot at the time.